TAMPA — Less than two years after it went public, LM Funding America, Inc. says it might not be able to say in business unless it can refinance its debt by year's end. "The inability to obtain financing would raise substantial doubt about the company's ability to continue as a going concern," the filing said. It added, however, that LM Funding is negotiating with "several entities" and expects to have a new financing agreement by the end of the year. Founded by Tampa attorney Bruce Rodgers, LM Funding advances money to homeowners' associations for the right to collect their delinquent fees. The company's business model has been controversial, partly because of its close ties to the Business Law Group, a Tampa law firm founded by Rodgers that collects on some of the delinquent HOA accounts owned by LM Funding. The two firms have been the target of lawsuits alleging that while Business Law Group appeared to be working on behalf of the associations, it really was acting in the best interests of itself and LM Funding. Earlier this month, LM Funding agreed to put $505,000 into a trust account by Aug. 23 under a settlement agreement in a South Florida class action suit involving scores of homeowners' associations. Attorneys for the class agreed to extend the timeline after the company said it would be unable to fund the trust by that date. LM Funding raised $10 million in its initial public offering in late 2015, but had to cut staff and slash salaries last year. Among those taking a pay cut were Rodgers, whose salary dropped from $385,000 to $269,500. On a more positive note, the company says it expects a "significant" decrease in legal expenses as it settles claims. 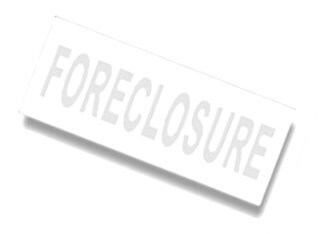 It also is acquiring condos and other real estate through foreclosures — so far this year, it has sold 14 properties for a net total profit of $623,000. LM Funding's stock, lightly traded on the NASDAQ, closed up 10 cents to $3.42 Friday.